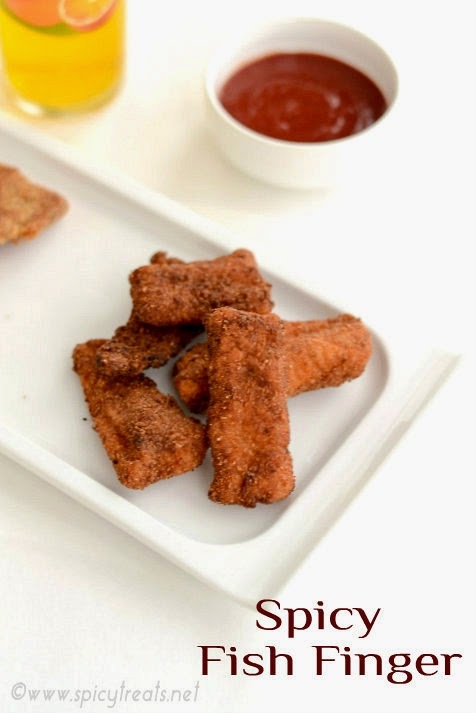 Cut fillets into 1" wide lengthy piece or you can cut into small pieces like nuggets. grind together ginger, garlic and fennel seeds without water and keep ready. In a wide bowl or plate, add fish fillet, ground ginger-garlic-fennel mix, chilli powder, salt and pepper and mix everything well and let it rest for 20-30 minutes. Meanwhile, take one egg in a small bowl and add 1-2 tsp water and beat it well and keep aside. Then in an another bowl, add flour season it with some pepper. And in another bowl add bread crumbs and keep ready. If deep frying, heat oil in a pan to deep fry. Toss each strip in flour and shake off excess flour. Then coat the strip with the breadcrumb. Slightly press the strip into the crumbs to make sure it is well coated. Let it stand for 5-10 minutes. 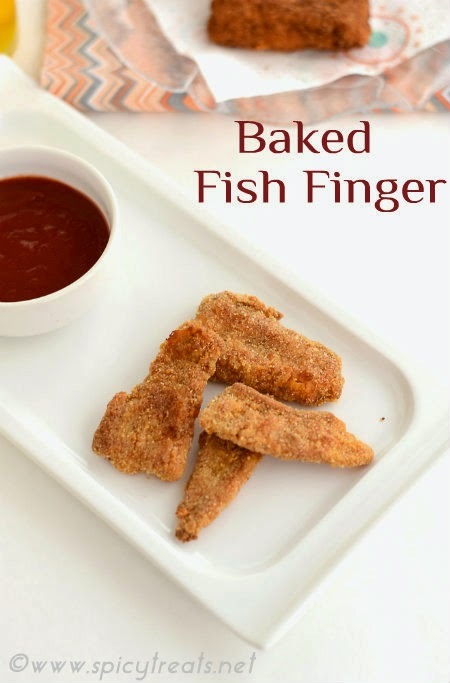 Do repeat the same for all the pieces and arrange it in a plate before deep frying. 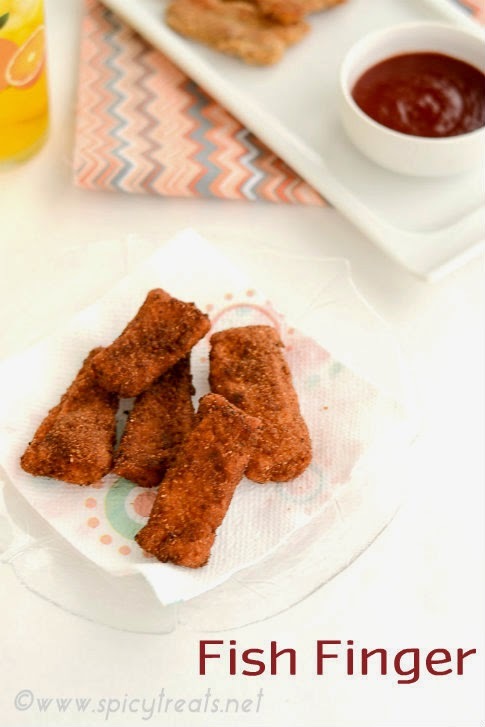 When the oil is hot, drop 1 or 2 pieces at a time and fry it in medium hot oil till turns golden brown on both sides. Then remove from the oil and drain it in paper towel. 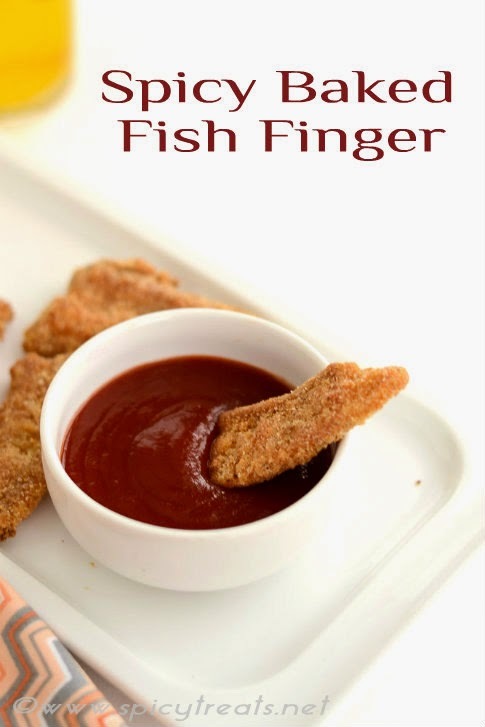 Serve with ketchup or any desired dipping sauce. Preheat oven to 200 C / 350 F.
Line baking sheet with foil paper, and brush it with oil or cooking spray. Then arrange the bread crumb coated pieces and brush top with oil. And bake it for 6-8 minutes. Turn halfway through. Baking time varies based on the fish strip thickness. I baked only the thin piece. You can also flavor the breadcrumbs by adding some dried parsley, Parmesan cheese, garlic powder etc. If you don't like ginger, then skip it and add garlic powder, fennel powder alone. yumm.. nice tasty mouthwatering dish.. This is too mouthwatering!!! I love it. Wow crispy and spicy starter!!! Looks totally yum! !